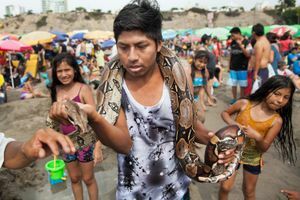 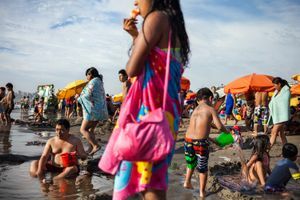 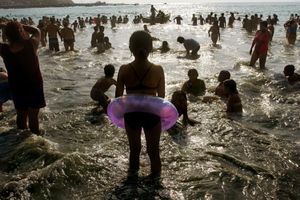 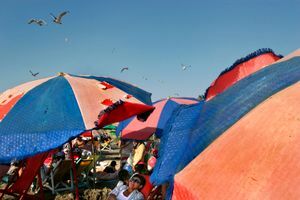 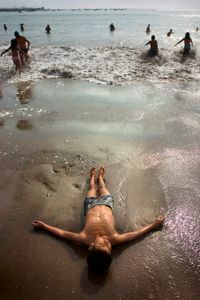 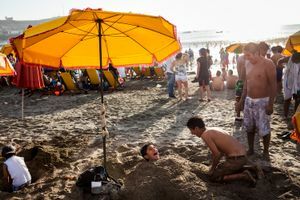 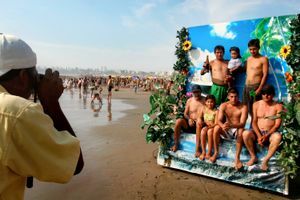 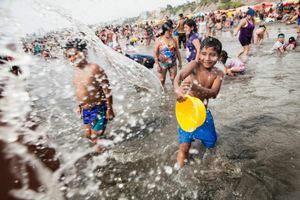 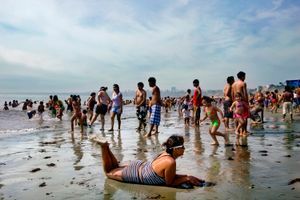 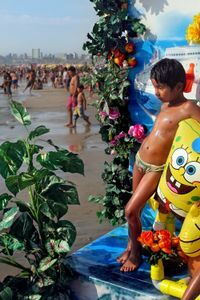 Aguadulce (Sweetwater), the most popular beach in Lima, has salty water. 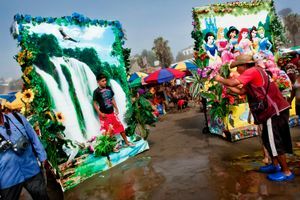 This seems like a contradiction, but it could be a sign that things function with a different logic here: the logic of a free land, like in the back-to-front world of the old carnivals. 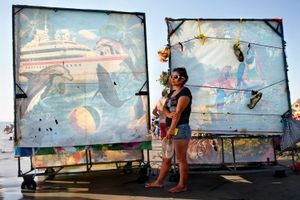 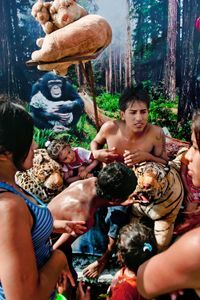 Everyone will be who they desire to be, and their souvenir will be a picture on a cruise in the Bahamas, or surrounded by animals in the rainforest. 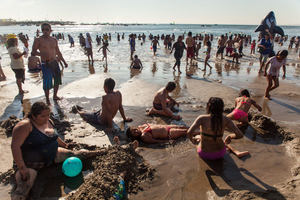 In the midst of these scenes of fantasy, the sand is fertile ground for love, and the water for freedom. 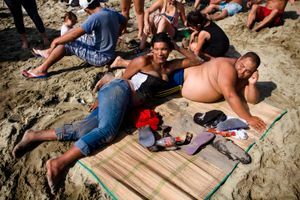 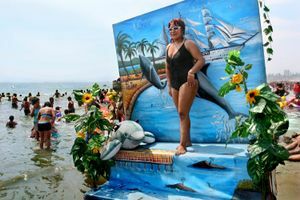 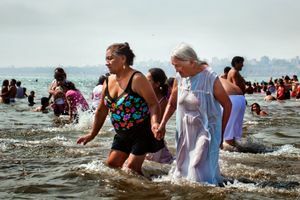 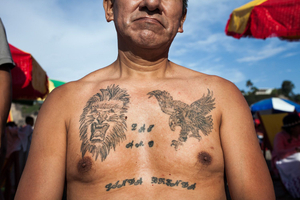 The bathers’ dreams and memories parade before our eyes in the form of tattoos, which breathe on their skin made golden by the sun and the salty water of Aguadulce.